Here is some beauty tea for #TeaTuesday for you lovelies. 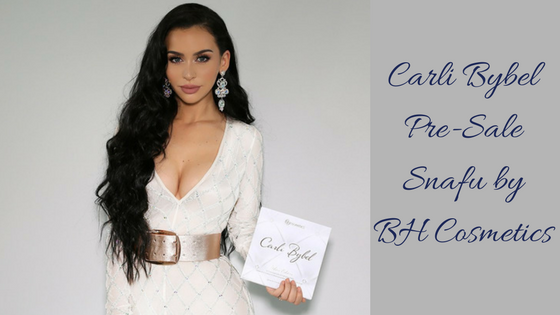 ICYMI, Carli Bybel's 14-Color Eyeshadow and Highlighter palette is discontinued. Don't fret. 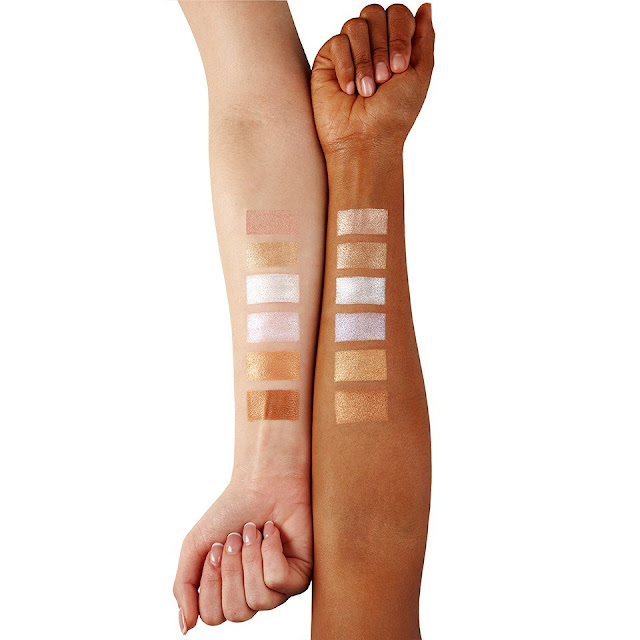 It is being replaced by a new palette featuring 21 colors. The Carli Bybel Deluxe Edition is the amped up version of the beloved original. It went on pre-sale, Monday April, 3, 2017. However, there was a huge issue. Bybel's revamped palette went on pre-sale yesterday on the BH Cosmetics website for $19.50. Of course, fans of Bybel's rushed to the website to place their order. 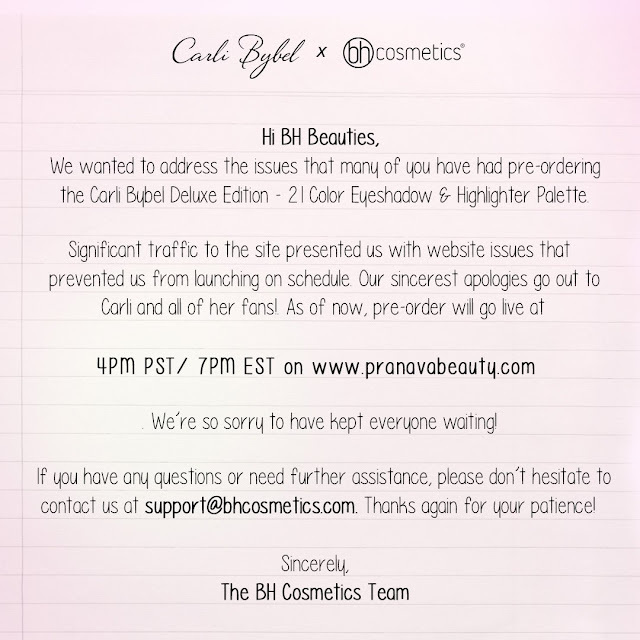 Unfortunately, BH Cosmetics was not prepared for the level of traffic this pre-sale would bring. As a result, order snafus started happening. People were complaining on social media that they were double charged and others couldn't even place an order. 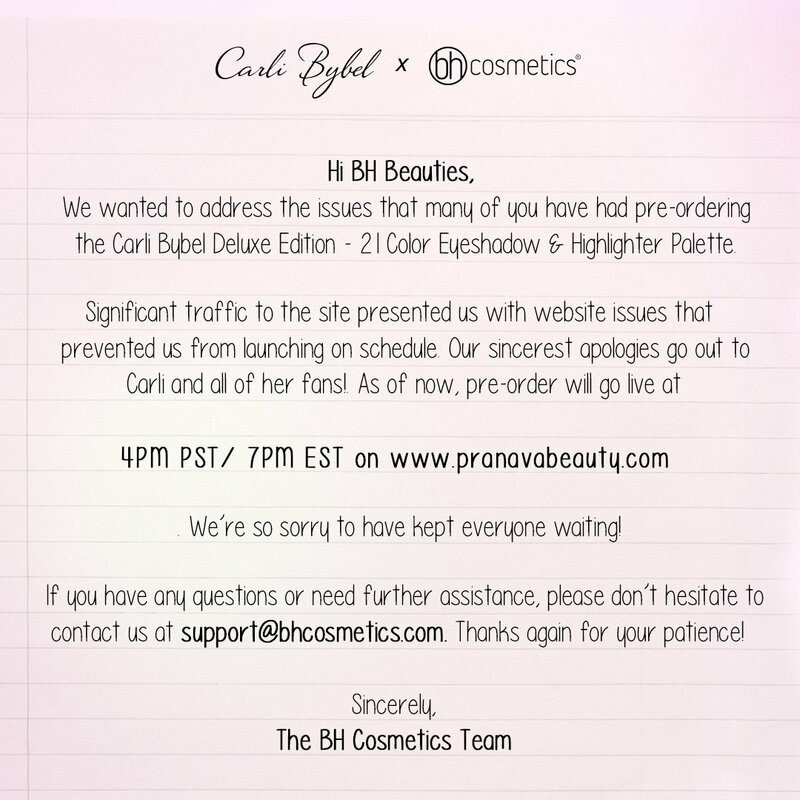 As of the time of this post was written no Carli Bybel merchandise is available on the BH Cosmetics website. Bybel spent a large part of her day trying to find a resolution with BH Cosmetics and finally had them pull the palette from the website. She then moved the pre-sale to her site, Pranava Beauty. 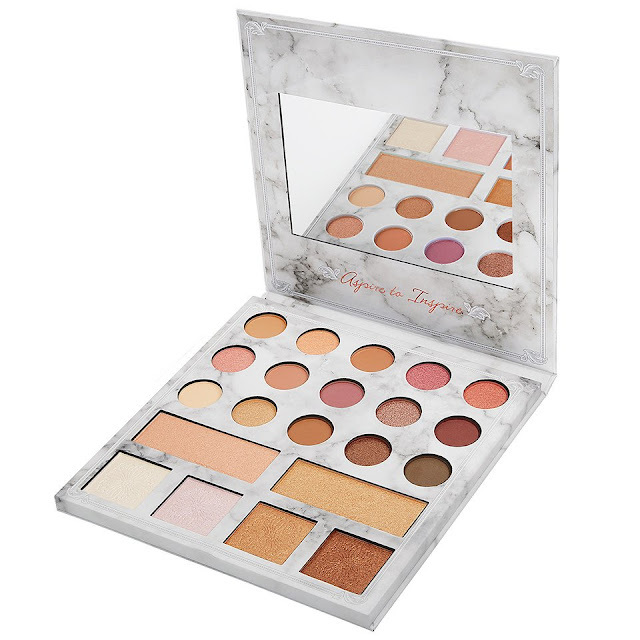 You can still pre-order the palette for $19.50 at Pranava Beauty. There is not ETA for when the palette will be available again on the BH Cosmetics website. Once someone gets back to me and I can give you a definite answer you will be the first to know. I'm sorry this is out of my control. ANYONE DOUBLE CHARGED WILL BE REFUNDED DO NOT WORRY. Palette is off the site until further notice. EVERY1 WILL BE REFUNDED FULL AMOUNT 0 orders will be fulfilled from BH website! Even orders that went through. CAN I GET AN AMEN FOR https://t.co/140BKz3I1N 😩😍😍😍🎊🎊🎊 a happy ending to a very stressful day! I love you guys so much! No waiting order now! All pre-orders will be shipped out on April 20, 2017. For 30 days, the Carli Bybel Deluxe Edition 21-Color Eyeshadow and Highlight Palette will be $19.50. After 30 days, the price will go up to $22.50. Who has purchased or is planning on purchasing the Carli Bybel Deluxe Edition 21-Color Eyeshadow and Highlight Palette? Image Credits: BH Cosmetics (affiliate) and Carli Bybel's Twitter account.